Until recently, Brussels has supported primarily front-load austerity measures. When President Hoover tried similar policies in 1930s America, a severe recession morphed into a devastating Great Depression. Is Europe following in the footprints? Ireland and Portugal have benefited from tough turnaround programs, he noted. However, it is the major economies - Spain, Italy, even France - that continue to struggle with fiscal consolidation, with soaring unemployment and multi-year contraction. 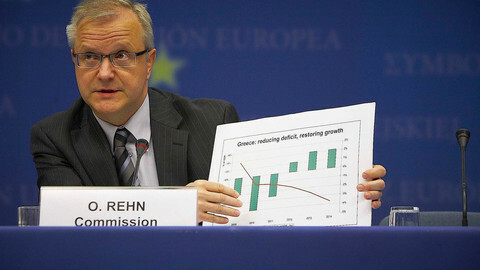 Meanwhile, Barroso’s commissioner for economic and monetary affairs, Olli Rehn, has been widely criticized for supporting strict budgetary targets to pay down debt and defend the euro. In a lively debate, Paul Krugman, the Nobel-prize winning economist, labeled the blind adherence to failed austerity policy a "Rehn of Terror." What is certain is that the debt crisis can only be overcome with carefully balanced and sequenced combination of adjustment and pro-growth policies. An obsession with one or the other will lead nowhere. Ironically, Brussels contributed to risks in the end of 2012, when both Barroso and Rehn, as well as European Central Bank (ECB) chief Mario Draghi said the worst was over in the Eurozone and the perception of risk had disappeared. At the time, Brussels still saw Italy as a potential future showcase of its policies. 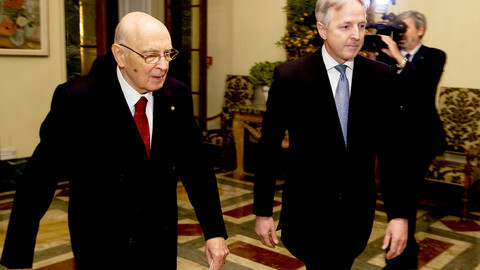 After Prime Minister Silvio Berlusconi had faded out, Mario Monti’s technocratic regime stepped in. The assumption was the economic policies that Brussels supported would gain the political blessing by the Italian people in the spring elections. In reality, the clear majority of the centre-left alliance led by Pier Luigi Bersani was the result of a majority bonus that trebled the number of seats assigned to the winning party. In the popular vote, Bersani’s party (29.5%) barely defeated Berlusconi’s centre-right alliance (29.1%). Right behind, the new anti-establishment 5-Star Movement of comedian Beppe Grillo (25.5%) became the third force, whereas the outgoing Monti’s centrist coalition (10.5%) failed miserably. In contrast to Brussels’s inflated hopes, then, nine of 10 Italians voted against Monti, while the winning party gained disproportionate representation against Berlusconi’s comeback. Most importantly, the political stalemate did not consolidate the political landscape, but fragmented it – which may well mean new elections. In the absence of a consolidated political landscape, painful economic decisions are near-impossible. In July 2012, Draghi provided a blanket pledge to do “whatever it takes” to preserve the euro. In September, the ECB launched a program of Outright Monetary Transactions (OMT), designed to offer liquidity to sovereign debt markets in the periphery. For a while, OMT did reduce tensions. But ultimately, it is a quick fix for the desperate, not a long-term boost for the fundamentals. Along with Fed’s multiple rounds of quantitative easing and Japan’s soon-to-be-initiated monetary expansion, ECB liquidity injections are now part of the problem. But what about the expected payoffs – strong recovery and solid employment? In the eurozone, unemployment has soared from 7 percent to a historical record of 12 percent and the area is in recession, again. In the ailing southern periphery, the rate is twice as high and youth unemployment is more than 55 percent. In contrast to the stated objectives, the unintended consequence has been a political moral hazard. The massive monetary expansion has not led to accelerated structural reforms, but their risky delays. 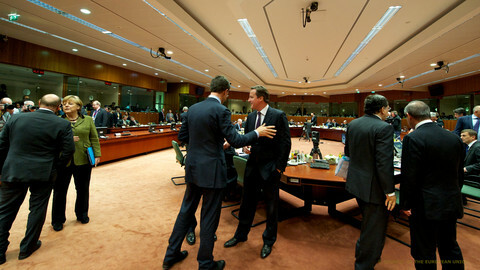 When the European crisis began, Brussels believed that the basic problem was inadequate liquidity. Since then, most efforts have focused on liquidity support, peaking with the launch of the European Stability Mechanism (ESM). And yet, while liquidity was necessary to alleviate problems and support banks, it cannot resolve Europe’s fiscal challenges. Instead of just liquidity, the real challenge stems from potential insolvencies in the periphery and possible spillover effects in the core. In the coming months, growth will linger even in Germany, which has steadily eroded the support of Chancellor Merkel’s CDU-led coalition. In France, the Elysee Palace’s fiscal austerity program has left the country in recession, while the slowdown of its trade partners virtually ensures stagnation in the coming months. Growth targets remain too ambitious, while a controversial mix of austerity policies and high taxation is alienating both households and corporations. 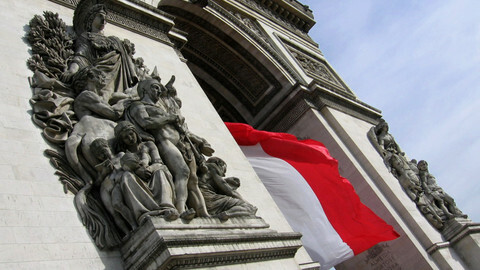 While President Francois Hollande’s programs seek to increase export competitiveness, they may be too little too late. Growth is likely to be subdued at best, recessionary at worst. Along with Rome, Paris is the leader of the pro-growth faction in Europe, but both need structural reforms to build foundations for effective pro-growth policies. Through financial spillovers and trade channels, the eurozone crisis has also exposed British vulnerability to the old continent’s debt crises. In turn, Prime Minister David Cameron’s austerity program has contributed to the erosion of domestic demand and the consequent subdued, close-to-recessionary growth. As a result, investors are looking nervously at the UK credit downgrade, a plunging currency, high inflation, and little to no growth, coupled with a bullish stock market and the expectation of a more accommodative Bank of England. 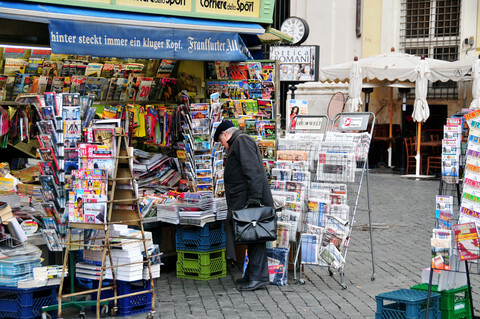 In the medium-term, Germany must also cope with an ageing population, slowing productivity and slowing growth. Chancellor Angela Merkel remains popular in Germany, but her coalition policies have strengthened the Social-Democrats and given rise to the soon-to-be-formed eurosceptic Alternative fur Deutschland (Alternative for Germany). The latter aims at the dissolution of the euro, an end to aid payments and the dismantling of the ESM. The eurozone challenges could be contained only as long as problems were restricted to small economies, whose individual GDP was less than 3 percent of the regional economy (Greece, Ireland, and Portugal). Everything changed, when the risks arrived in Spain and Italy. The two account for almost 30 percent of the regional GDP. They are too-big-to-fail economies. 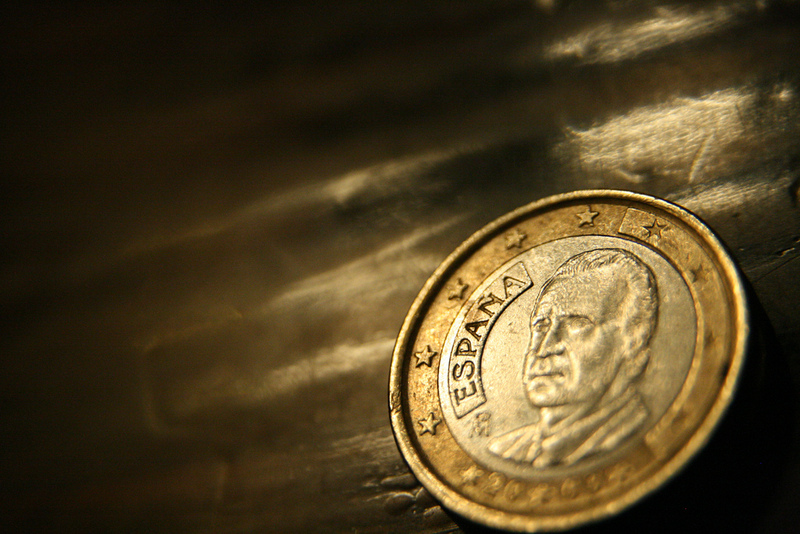 In Spain, the economy is likely to remain in recession in the short-term. The strong austerity measures of the Mariano Rajoy government have contributed to the plunge of domestic demand. As a result, private consumption will remain weak, along with investment, while net export growth cannot offset the status quo. In a benign scenario, this will eventually force Madrid to seek official support, which will serve to defer further structural reforms and the full troika program. And if Madrid turns to Brussels for help, Italy is likely to follow. When the sovereign debt crisis began in the eurozone in spring 2010, most countries agreed on most objectives. As long as Merkel’s Germany and France led by Nicolas Sarkozy played together, there still was a clear consensus over the objectives among the major core economies as opposed to Southern Europe. In the next Brussels summit, only the EU officials and Germany are likely to emphasise primarily financial consolidation. 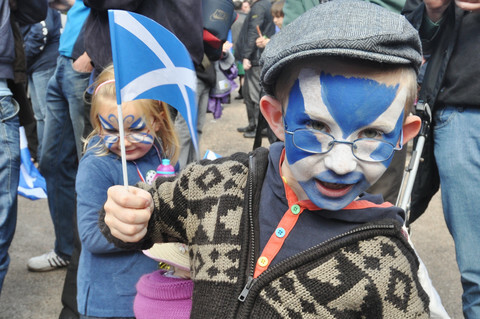 Today, the current policy divides the core economies and is opposed by the periphery. In the absence of change, EU officials may find themselves alone speaking for further fiscal adjustment after the German elections, when the current policies may split not just the European Union and the Eurozone, or the major core economies but even Germany itself. While fiscal consolidation is necessary, it is not a panacea. While pro-growth policies are necessary, they require structural reforms. What the eurozone truly needs is a recalibration and re-sequencing of fiscal consolidation and pro-growth policies. Staying the course just won’t work if the ship is slowly descending and in dangerous waters. 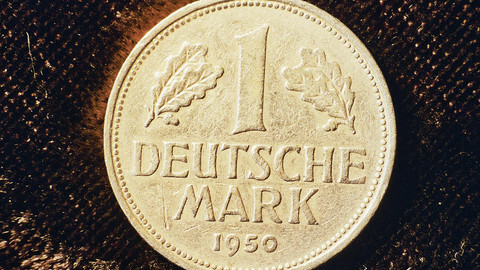 A new party in favour of returning to the Deutsche Mark is taking shape in Germany. But most Germans still want to keep the euro. Italian President Napolitano has, while on a trip to Germany, demanded respect for Italy and cancelled a meeting with the German opposition leader after he mocked election results. EU leaders are meeting for a two-day summit in Brussels to take stock of lagging reforms aimed at jump-starting the economy. 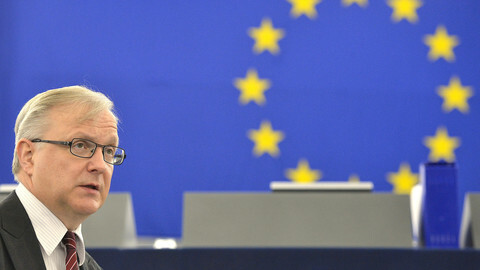 EU economic affairs commissioner Olli Rehn faced a sustained verbal shellacking on Thursday from MEPs on the left and right.